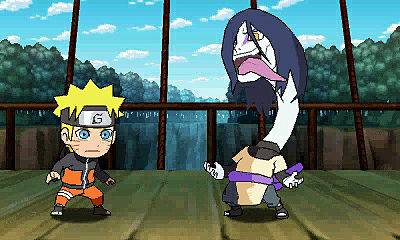 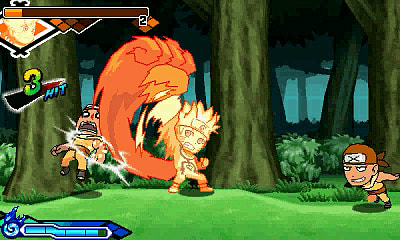 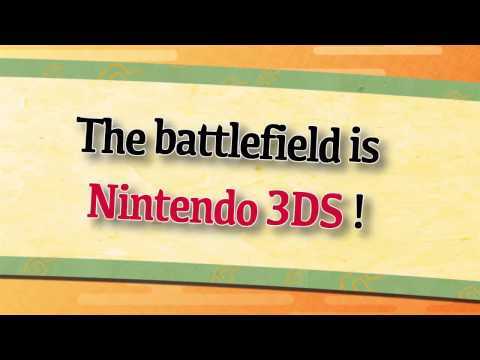 The worlds of Naruto and Rock Lee combine for a fun new adventure in Naruto Powerful Shippuden for Nintendo 3DS. 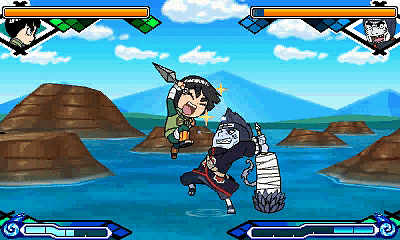 Mixing together Rock Lee’s Springtime of Youth and Naruto's official storyline into one game, with two distinct stories. 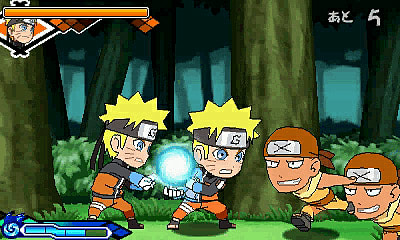 Now you can experience the events of Naruto Shippuden in a more humorous way than ever before, while Lee has missions to complete, but can do so in any order. 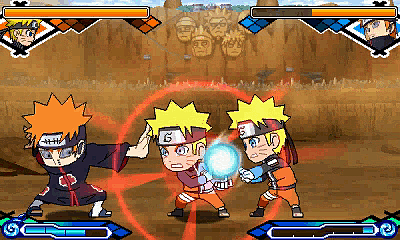 Side scrolling Naruto action: A crazy Naruto storyline in a side scrolling action game.